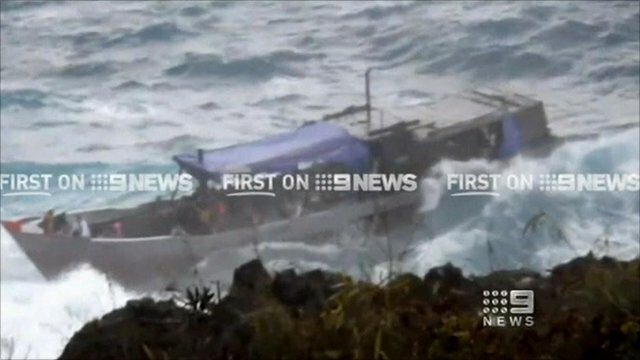 Eyewitness on Australia shipwreck Jump to media player New footage shows the dramatic final moments of a ship which crashed off the coast of Christmas Island, as Australia says it is to launch a criminal investigation into the incident. 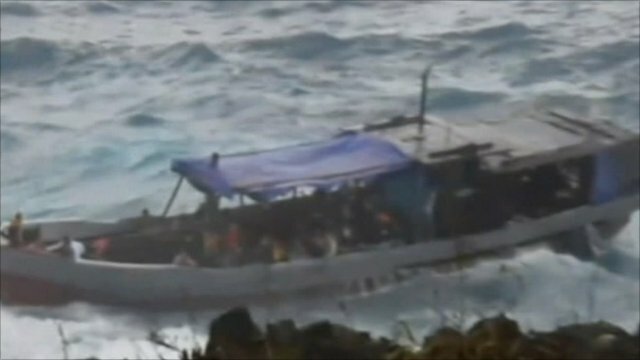 Asylum ship founders on rocks Jump to media player Emergency crews recover bodies from the sea after a boat carrying suspected asylum seekers founders on rocks on Australia's Christmas Island. 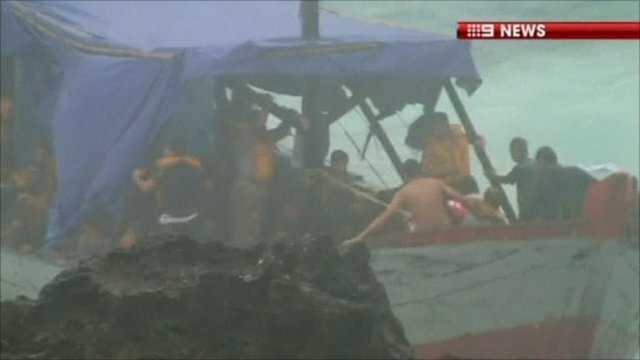 Australia boat crash 'like horror movie' Jump to media player Witness Philip Stewart describes seeing survivors clinging to a boat which crashed into rocks on Australia's Christmas Island. Dozens of suspected asylum seekers are feared to have drowned. New footage shows the dramatic final moments of a ship which crashed off the coast of Christmas Island. Australian Prime Minister, Julia Gillard, has suggested that the boat may have been carrying more than the 70 passengers originally thought, and that more fatalities may be confirmed. Eyewitness Simon Prince described watching the incident.